Don’t miss the 36th Annual Glass Art Celebration at the Cheyenne Botanic Gardens during the months of February and March 2019. This is Wyoming’s largest glass art show, featuring professional and amateur glass artists. The Gardens offers a wonderful winter escape and allows for natural light to illuminate the incredible glass art pieces among the flowers and plants in the conservatory. If you would like information on including your glass art in this show, please contact the Cheyenne Botanic Gardens at 307-637-6458. 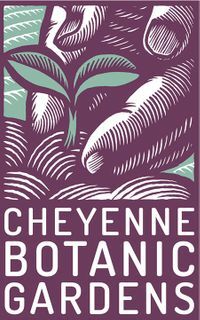 This exhibit is part of the Artist Residency project at the Cheyenne Botanic Gardens, made possible with a grant from the Wyoming Cultural Trust Fund.